Eater PDX wrote that restaurant Touché is “in a weird sort of limbo” as they wait for news about the fate of their building. The historic Firehouse #3 may be demolished to make way for a 12 story building at 505 NW 14th Ave. 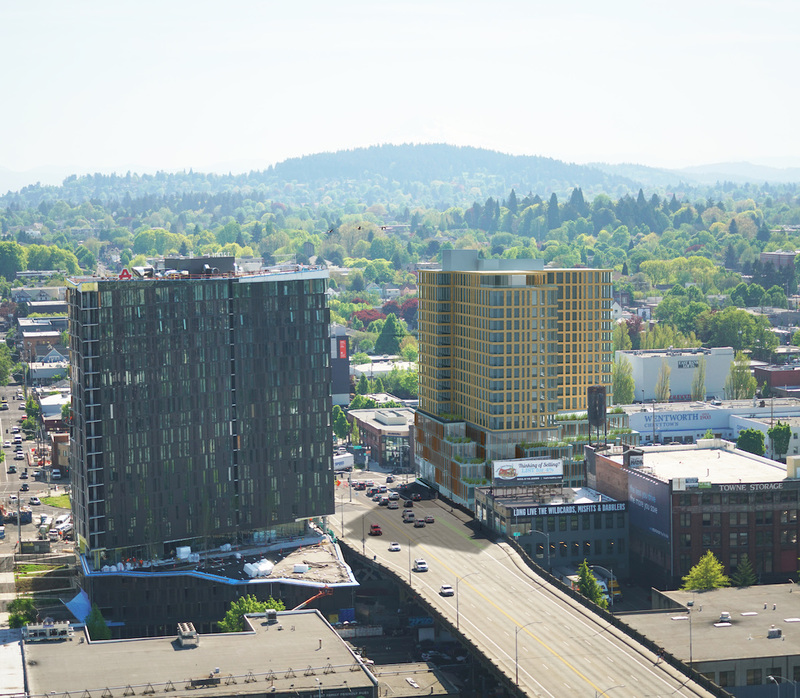 The Foster Powell blog wrote about the 72Foster affordable housing development, which will include 108 housing units and commercial space lining SE Foster. Mayor Hales has proposed an amendment to the Comprehensive Plan that would prohibit new drive throughs in the Central City and limit them elsewhere, reports the Willamette Week. A Vancouver, WA have donated $12 million to OHSU, which will go towards the patient housing being built as part of the Center for Health and Healing South project. An 86 year old funeral home may be demolished, reported the Portland Chronicle. 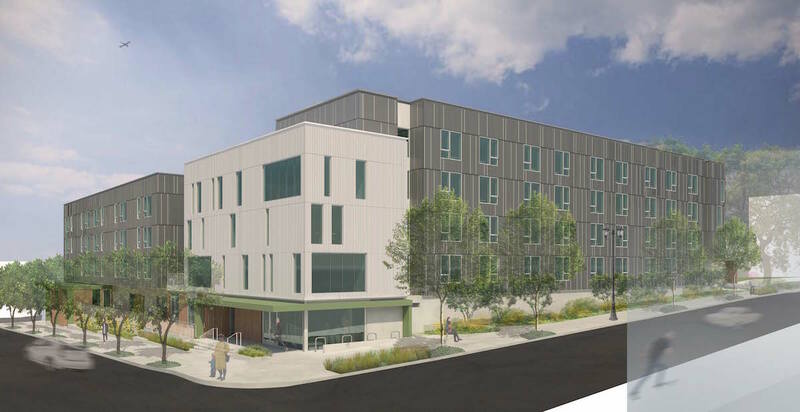 The building is located at 20 NE 14th Ave, a site where the Bureau of Development Services recently received an Early Assistance application to discuss a six-story mixed-use building with 190 residential units. 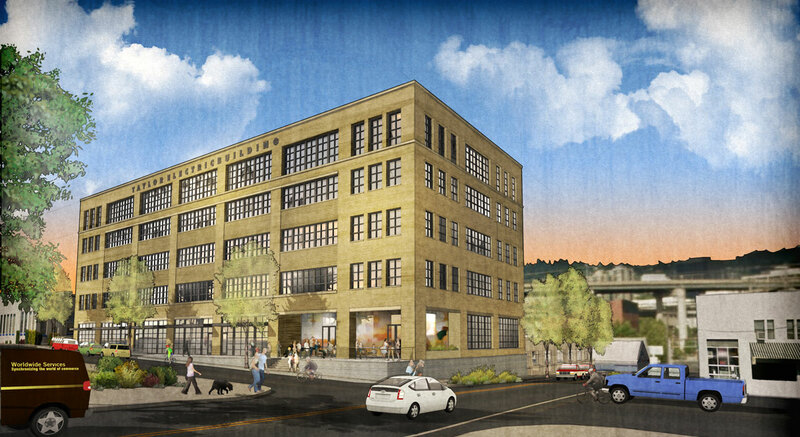 Elemental Technologies will move their headquarters into the 1320 Broadway building. The building was formerly home to The Oregonian, and is currently in the middle of a major renovation. Portland Architecture talked with Stuart Emmons, an architect who is running against incumbent Steve Novick for a seat on the Portland City Council. Portland International Airport is reevaluating its $98 million Concourse E Expansion, according to The Oregonian. Portland based Horizon Air recently ordered 30 Embraer E175 jets, which can be board via jetbridges. The airport’s original expansion plan was designed for the Bombardier Q400 plans Horizon currently flies, which typically board from the ground. 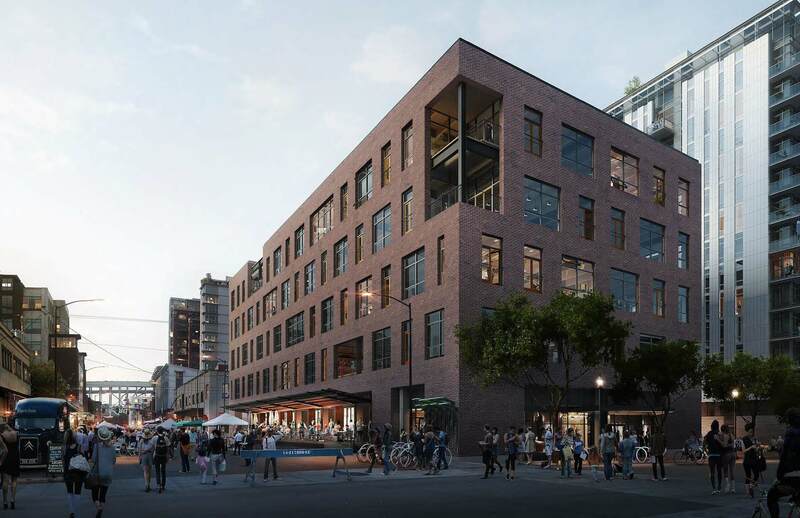 KPTV reported that a demonstration was held by the group “Stop Demolishing Portland” outside 3336 SE Belmont, which is set to be redeveloped with a three story mixed use building. 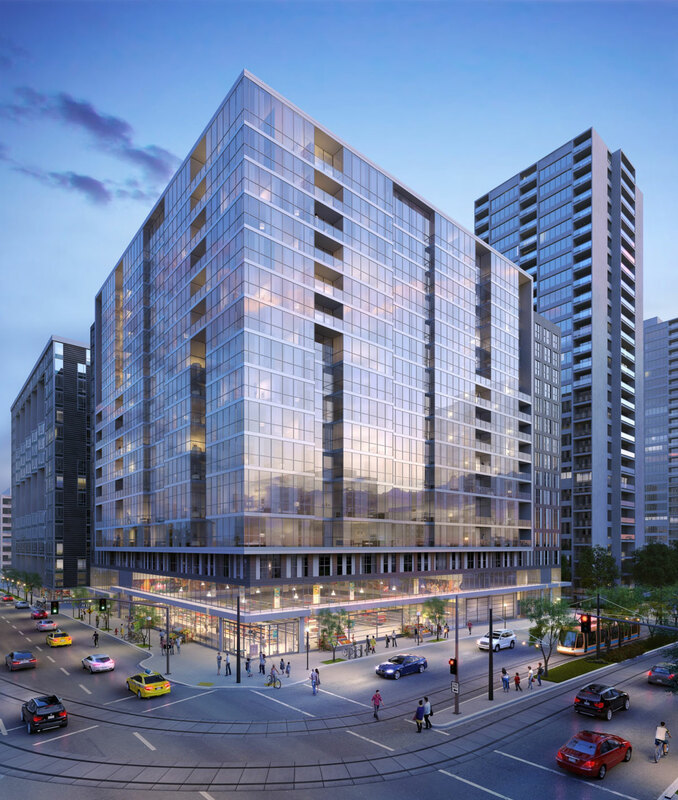 Coworking and shared office company Regus opened a space in the Pearl West office building this week, according to the Portland Business Journal. 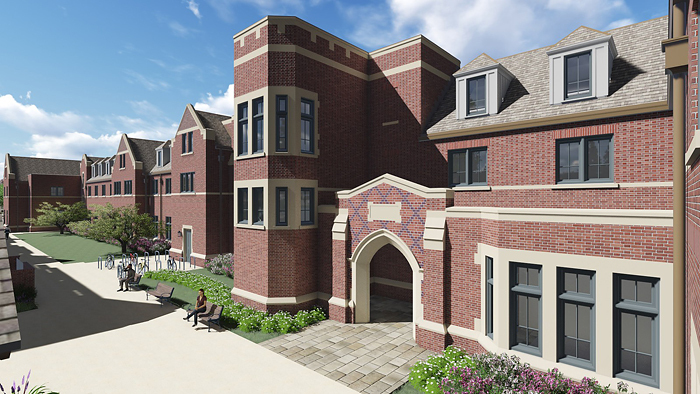 The St Francis Park Apartments received a $9.5 million loan from KeyBank, reported the Portland Business Journal. 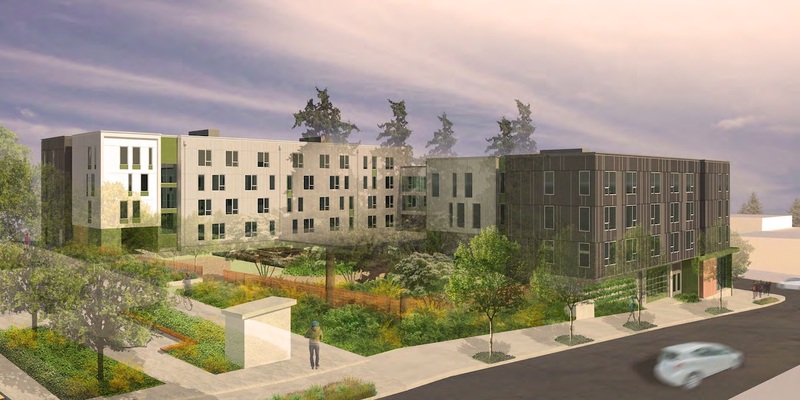 The Central Eastside building will include 106 units of affordable housing. Thru Magazine wrote about a Design Week Portland panel discussion about the future of the Central Eastside. The event was hosted by Bora Architects, who showcased their Water Avenue Yards concept. The PSU Vanguard reported that the Portland State Vikings celebrated a groundbreaking for the PSU Viking Pavilion ahead of their annual spring game.